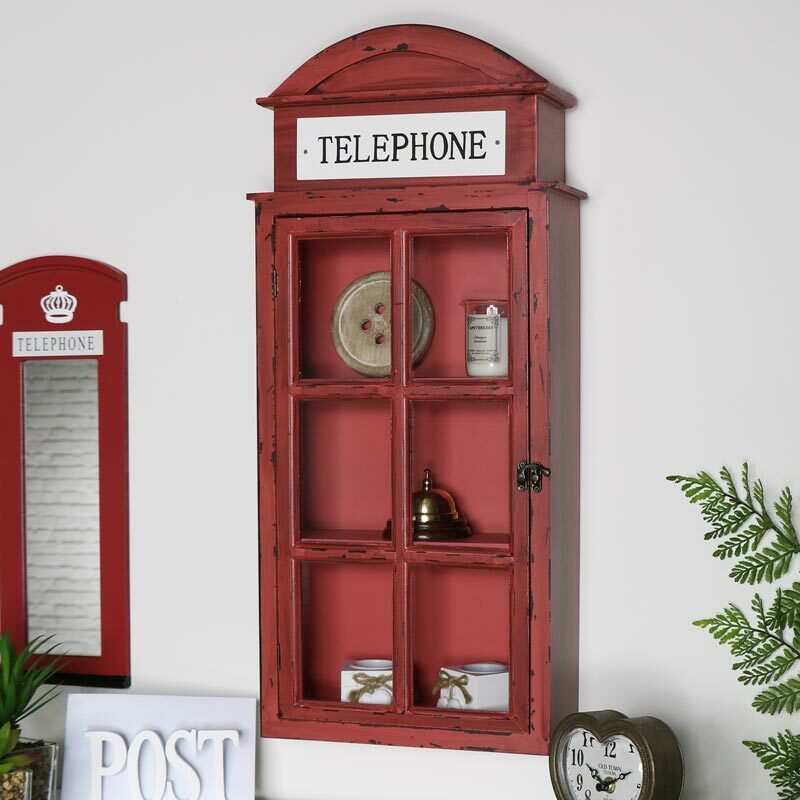 London telephone box style wall or surface cabinet in a traditional aged red painted finish. 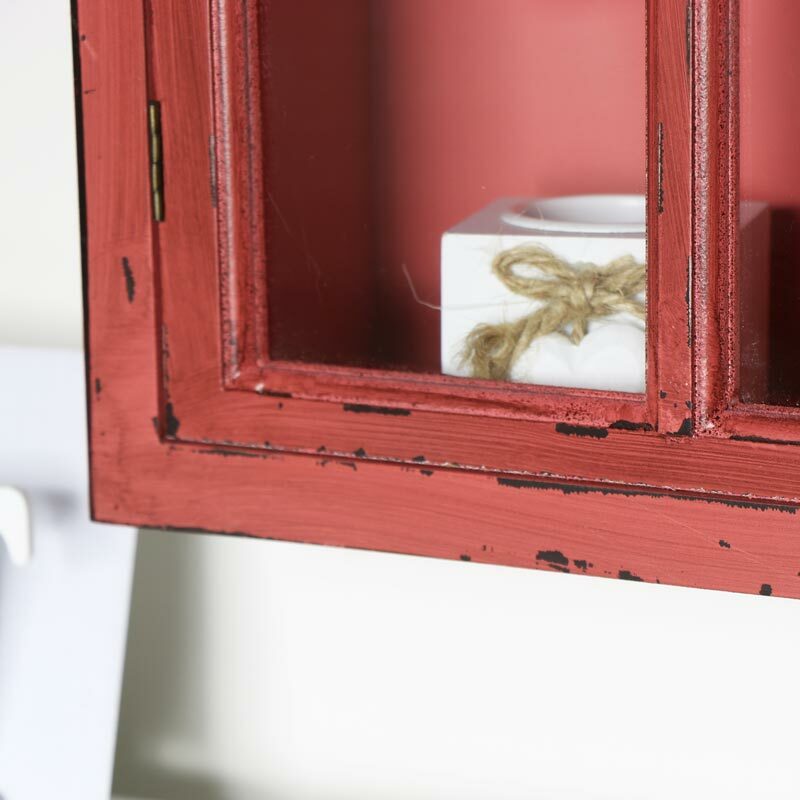 Three internal shelves make this a great display cabinet with glazed door, ideal for holding books and ornaments. Perfect for hall, childrens bedroom or bathroom cabinet Full of nostalgia, perfect for the living room, hallway or bedroom. This can be used freestanding on a shelf or floor or wall mounted. 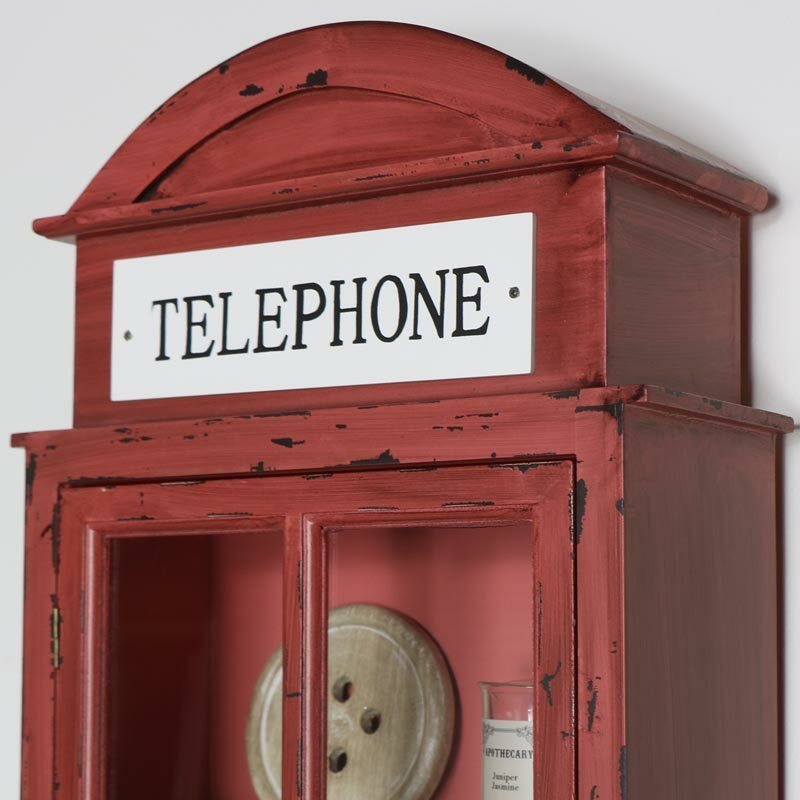 London telephone box style wall or surface cabinet in a traditional aged red painted finish. Full of nostalgia, perfect for the living room, hallway or bedroom. This can be used freestanding on a shelf or floor or wall mounted. 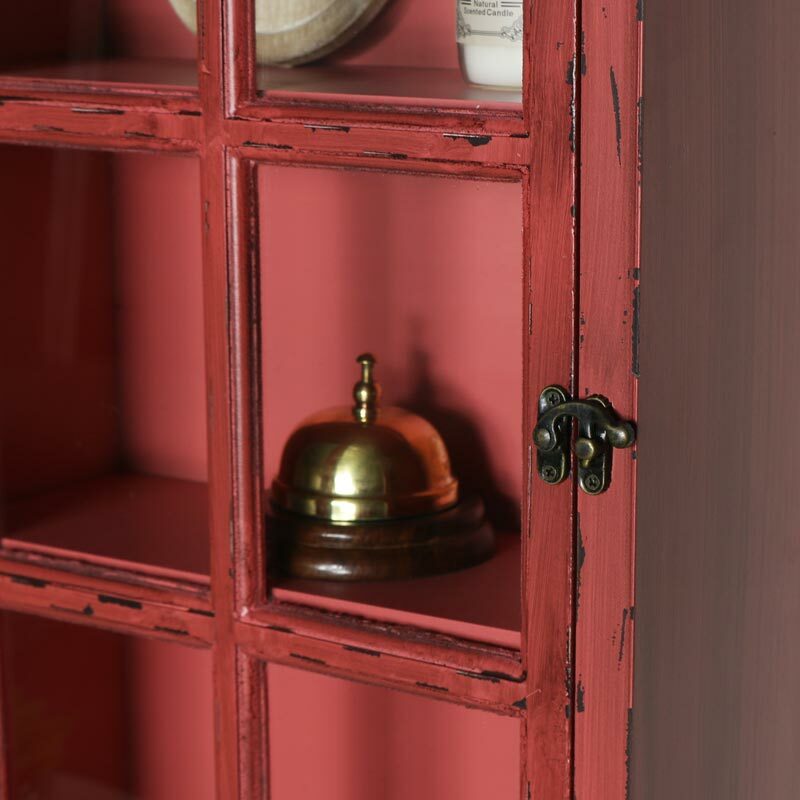 Made from wood, painted red with a distressed finish to give the appearance of age. Can be used freestanding or wall mounted (please note fixings are not included). We have a great choice in cabinets and cupboards in various styles and colours with wall mounted and freestanding designs available.